Welcome to the Friday Frenzy! Close to Home, Mostly Food and Crafts, Hey, What’s For Dinner Mom? 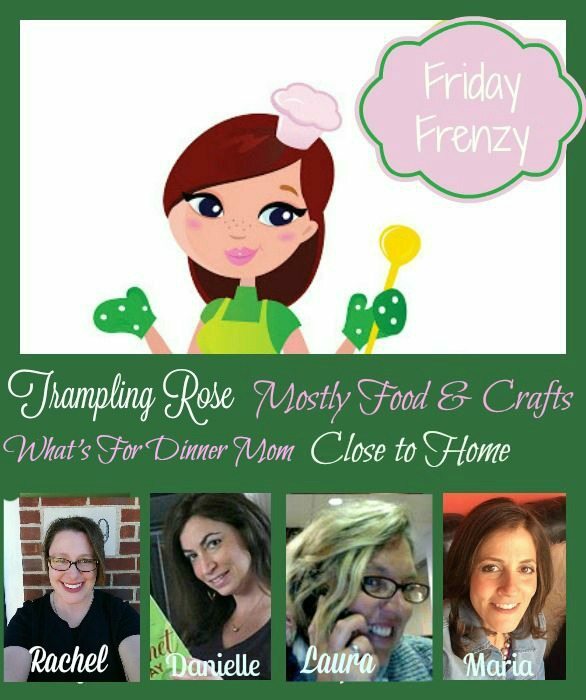 which is NOW Little House Big Alaska and Trampling Rose would like to welcome you to the FRIDAY FRENZY where we come to share your Recipes, Craft projects, and whatever else you’ve been working on. When you link up to the Frenzy your posts will be featured on all four of our blogs for quadruple the exposure. Each week we will showcase a few of our favorites from the week before and pin them on our Friday Frenzy Pinterest Board as well. Please follow your hosts! As usual, when it’s my turn, I focus just on the food. And can you blame me when things like this gorgeous Southwest Chicken Salad are shared? How about starting your day off with a hearty Farmer’s Breakfast Skillet? I dunno about you, but I could eat breakfast food all day, every day! And in the afternoon? This S’Mores Coffee Milkshake is the perfect pick-me-up! Share what you’ve made with us this week! This entry was posted in Friday Frenzy and tagged Fiday Frenzy, link-up party by Rachel. Bookmark the permalink.